I have been a reading fool so far this year! I know recently my blog posts have been almost exclusively book reviews, but I’ve been reading some good ones and need to let y’all know so you can add them to your TBR lists. 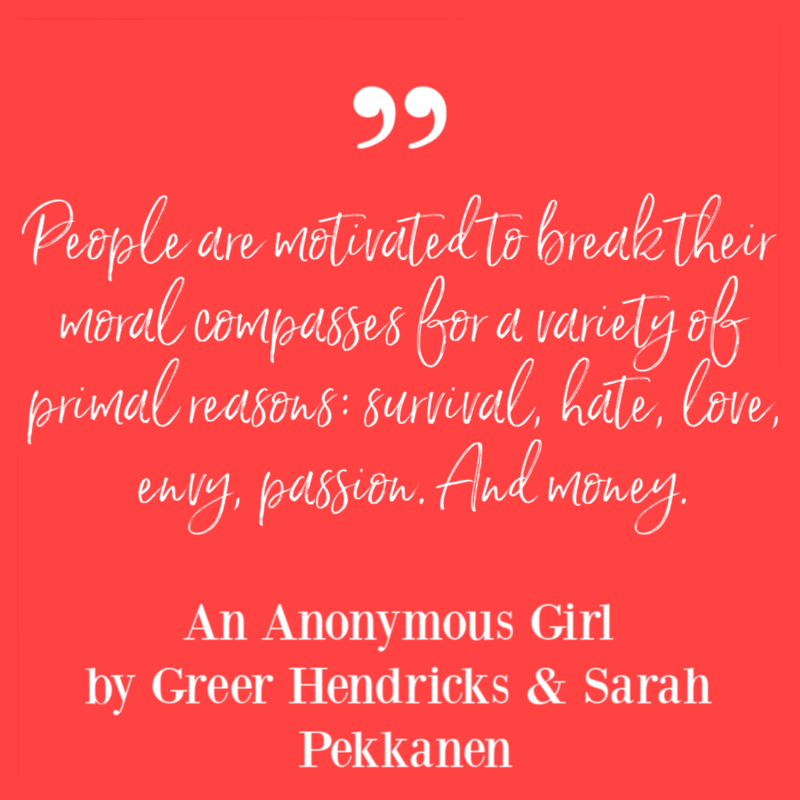 I was lucky enough to get a copy of An Anonymous Girl by Greer Hendricks and Sarah Pekkanen on Netgalley, and was…I don’t know…twirling in circles doing a happy dance over it? LOL I had been seeing this book all over Instagram for months, and couldn’t wait to see what all the fuss was about. Am I the only one who feels compelled to read something when she repeatedly sees it online?? An Anonymous Girl was an intriguing and original, slow burn psychological thriller. 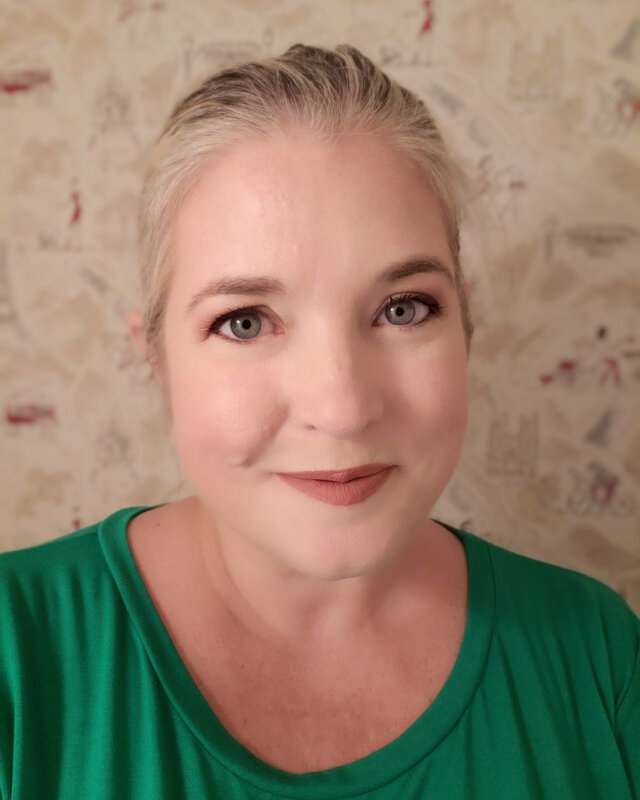 Make-up Artist Jessica Farris decides on a whim to go to a psychological study on ethics that she overhears one of her clients talking about, mainly as an attempt to earn some extra cash. She sends the money home to help pay for her sister’s therapy treatments, which is even more important now that her father is out of work. Any extra cash is a good thing. So she walks in mainly hoping to not be found out as an imposter, sneaking into the study. But she catches Dr. Shield’s eye and becomes the only candidate for what turns out to be a very personal study…one that could end up life-threatening. I enjoyed reading this novel. I’m a sucker for thrillers, as most of you should be aware of already, and this one definitely kept me flipping pages wondering where it was going. There were a few things I caught on to before they were “revealed”, but the author had a way of twisting things up slightly that made it all feel fresh. I referred to it as a slow burn because it really did feel to me like reading a train wreck in slow motion. You knew it was going to end badly. You knew Jess was in over her head. You knew there was more to this study than you were originally told, and that the narrative was perhaps not the most reliable. But everything trickled out gradually, chapter after chapter, in a manner that kept me going long after I should have put my book down for the night. And those are the best kind-of thrillers to read! So…great thriller here, with plenty of twists and turns especially towards the end. None of them so earth shattering that you’re going to throw the book across the room and scream obscenities at me for recommending it, but enough to make you sufficiently tired in the morning. I would definitely add it to your reading list, especially if you’re a fan of this genre. Another big thanks to Netgalley, the authors, and the publisher for sending a copy my way! Can I ask a favor of you, if you got this far in my review? Could you leave a comment below of your favorite thriller novel? I’m worried my comments section isn’t working right, and this is a good way to test it out! HUGE thanks in advance! !